The Road Team has made it to the “Edge of America,” better known as Folly Beach, South Carolina. While we may be far from the Blue Ridge Mountains, we like to celebrate the entire state that the Blue Ridge Mountains run through. And we can confirm that there are still plenty of adventures to be found at the beach! 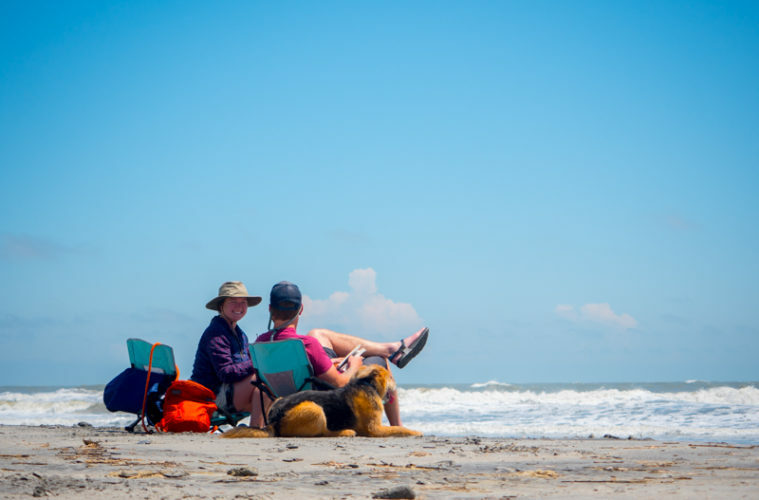 Starting out as the home of the Bohicket Tribe, settlers became interested in “The People’s Beach.” Nine families moved here, followed by many more and Folly Beach came to be the quirky, bright little beach town we know now. 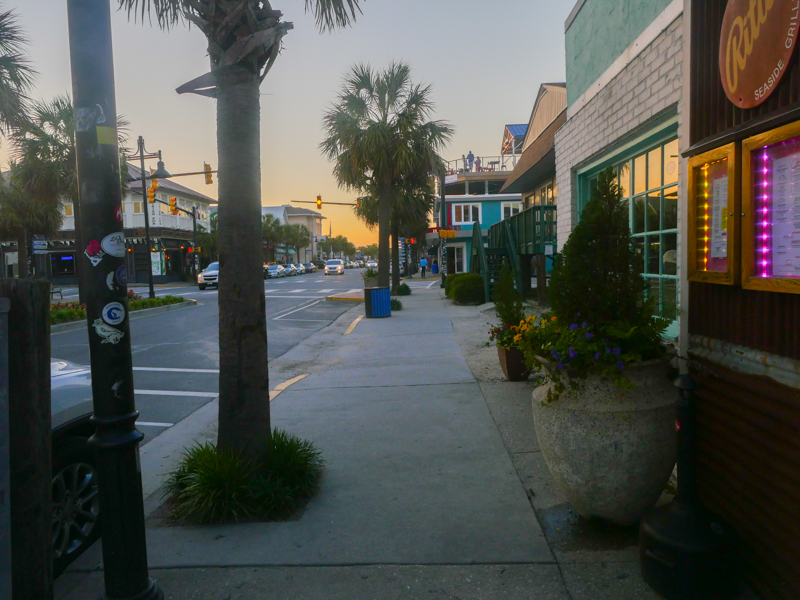 Center Street is dotted with bars, offices and surf shops, and acts as the welcome wagon as you drive in from Charleston, South Carolina. Get out beyond the buildings and get personal with dolphins and if you’re lucky, a North American right whale during migration season. 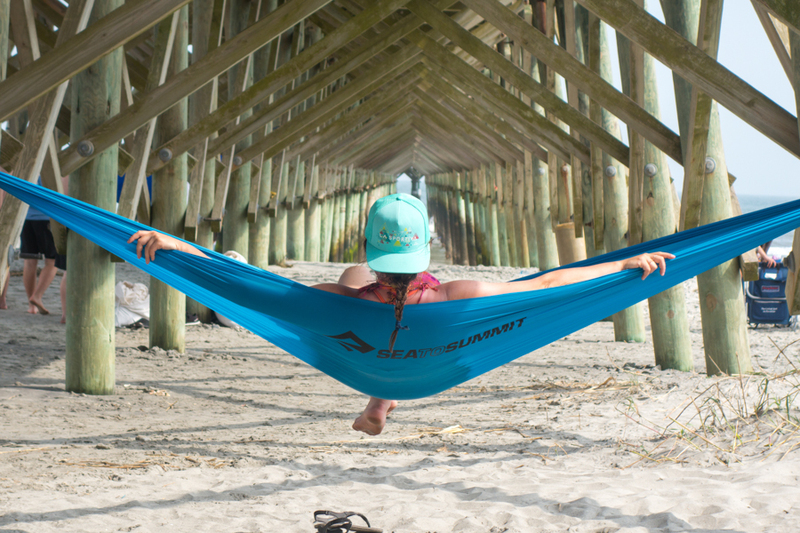 Folly beach has the perfect balance between a relaxed beach town and a ‘still a few things to do after 8 p.m.’ town. Folly Beach lies solidly in the South, and the food reflects that. We dined at many cute beachside cafes and grills all offering dishes with Southern flair. If you want laid back and off the main drag, check out Lost Dog Cafe, a staple on Folly Island. Bring your pup (almost all the cafes and restaurants we dined at allowed dogs on the patio), sit outside and order the shrimp and grits. Another option for breakfast is Black Magic Cafe. We ordered a lavender honey latté in the early morning and walked to the beach to enjoy it. 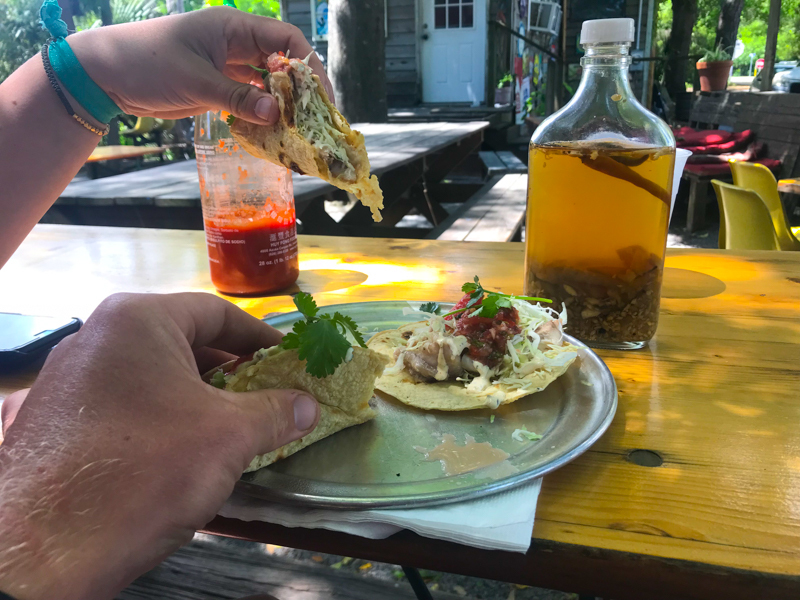 To eat like a local, head to Chico Feo for incredible tacos and an eclectic back seating area. If you want to grab a quick bite before enjoying the surf, check out Bert’s Market, which is open 24 hours a day and sells just about everything you can think of. Taco Boy for a quick lunch bite before heading to the pier. Bowens Island for a nicer Lowcountry dinner on your way back to Charleston. The ‘Wich Doctor for anything from pizza to Vietnamese Pho on a Sunday. This is why we came to Folly! 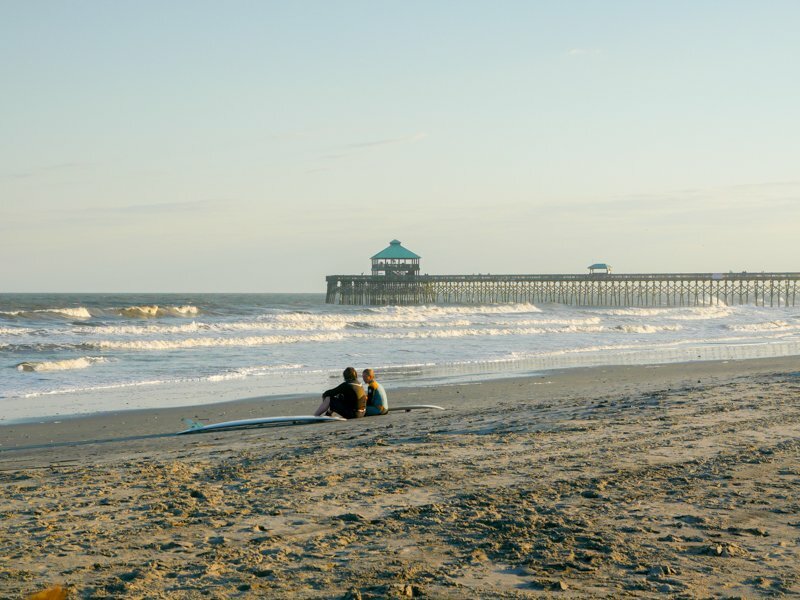 Folly beach is gaining popularity as a solid surf spot on the East Coast. With plenty of different areas to check for waves (The Pier, the Washout, 10th street), you can always find a set that looks good to you. 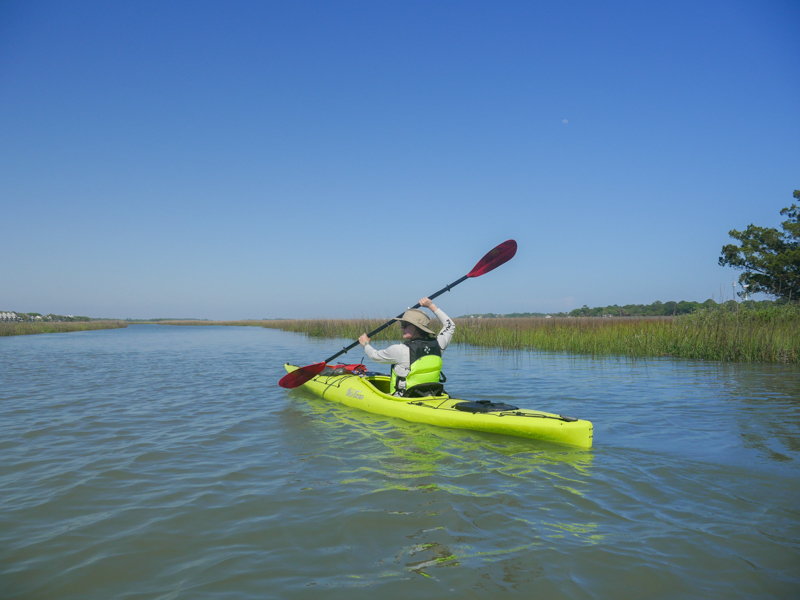 While the Road Team hasn’t delved into the world of surfing (yet), we did head to the other side of the island and put our kayaks in to explore the estuaries between the mainland and Folly Beach Island. We highly suggest heading under the bridge and across the way to the estuaries. We twisted and wound down shallow murky water passing by reeds and floating twigs. This may sound unromantic, but it is actually extremely beautiful, and also the location of our up-close dolphin spotting. They frequent the area so your chances of spotting one are good! 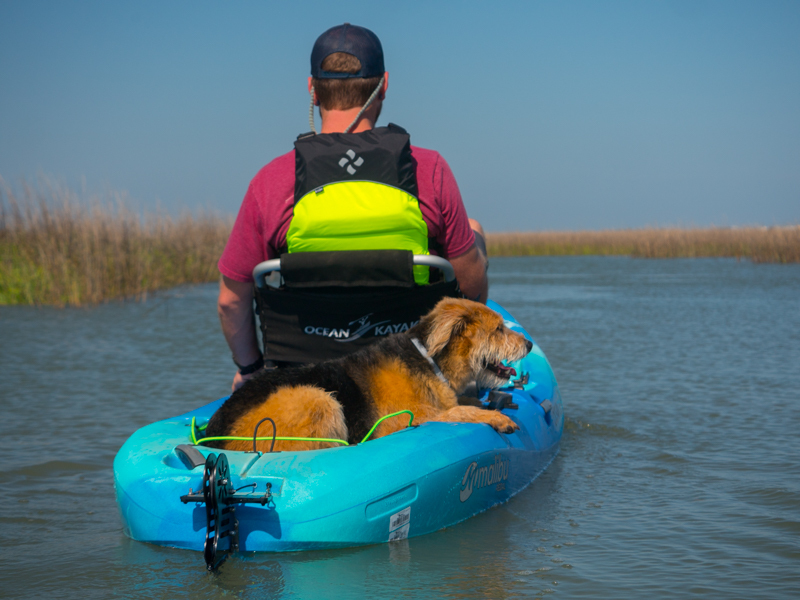 If you don’t have kayaks of your own, never fear, you can rent them from Charleston Outdoor Adventures and launch from their private boat dock. There is ample biking, paddle boarding, fishing and straight up beach hanging. Leashed dogs are allowed to hang with you at the beach all day in the off-season. Between May 1 and September 30, they can join you before 10 a.m. and after 6 p.m. The Folly Beach County Park is a great place to relax for the day, away from the bustle of Center street. You can grab your bike and beach cruise all the way from the Park to the Washout on the other side of the island. It’s about an 8-mile round-trip ride, and you can stop in town each way to grab a refreshment or snack. If camping is your forte, you run into fewer choices. You can stay at James Island County Park for between $30 and $60, and take a shuttle to Folly County Park for $10 round-trip. What we suggest is the trusty Walmart parking lot, which has a separate section for overnight RVs on the right side if you’re looking at the store. Of course, you need a van or vehicle you can sleep in so this option isn’t for everyone. But it’s free, and that’s hard to come by in the realm of beach accommodations. 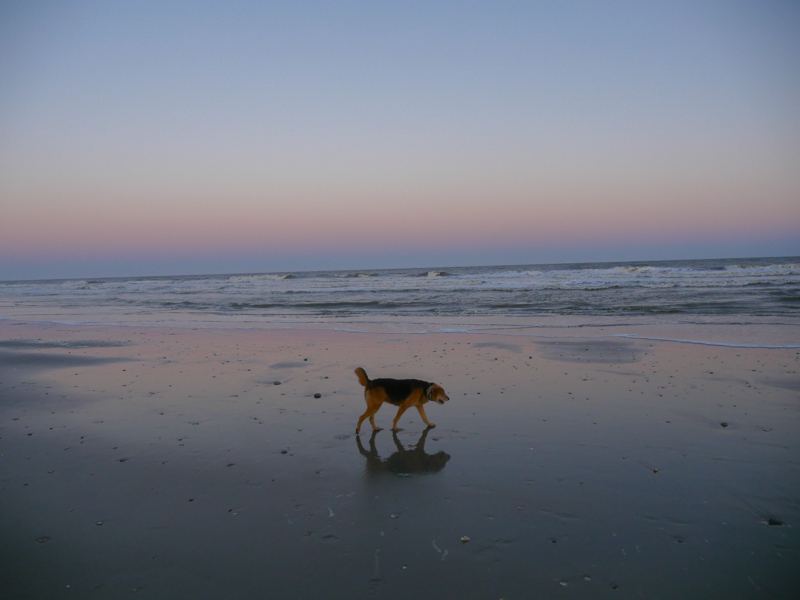 If you have a few days and you’re close to Charleston, South Carolina, push the extra 30 minutes and land yourself on Folly Beach Island. We’ve come back here again and again because the charm is magnetic.